The calendar may say Spring but with so much snow in the mountains this year, most ski resorts are open well into April and some are even going into May. For anyone who's not yet "skied out" this year, here is the availability at some destination club homes. 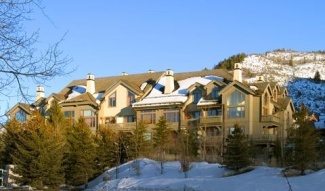 and various availability at their other ski homes. With April normally being a quiet time in ski resorts, there were a couple of the clubs that we talked to that had planned upgrades and redecorating at some of their ski homes in April. Most of the resorts in Colorado and Utah are closing around April 13th, although Aspen is open until April 27th and Breckenridge until April 20th. The ski resorts in California, New England and Canada are open longer, with Whistler Blackcomb providing skiing on the Blackcomb Mountain Glacier through July 27th.